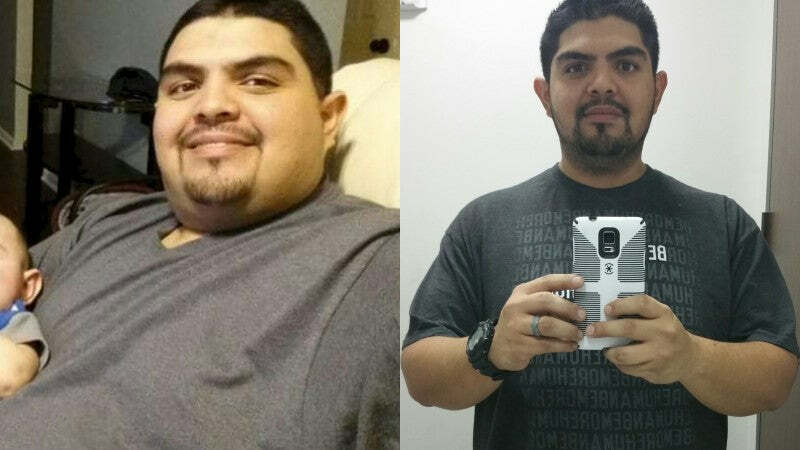 Transformation: Antonio Hinojosa Sheds 66 Pounds! Stay at home and eat for feeling ashamed of what I looked like. Not being able to play with my newborn as much due to getting tired quick. My turning point was when my son started crawling. I struggled to keep up with him. Food portion as well as types of food. Cheat day vs cheat meal. Enjoying the outdoors with my family and running/chasing my son around. F*ck tomorrow start today. Only you control your destiny. Thank you Tiger Fitness for motivating through all this. Mr. Lobliner thanks for being a real a$$ human. you seem to love squatting now, great job bro!